(March 12, 2013) -- The UTSA Center for Innovation and Technology Entrepreneurship (CITE) has partnered with Soldiers' Angels to form an entrepreneurship training program for veterans in San Antonio interested in starting a business venture as a route to financial independence. The Soldiers' Angels Entrepreneur Academy is a six-month program that will take the entrepreneur from concept to business development, business plan and investor pitch. Participating veterans will benefit from a rigorous, structured curriculum with hands-on learning, seminars, networking opportunities, and personalized interaction and mentoring by successful veteran entrepreneurs. Additionally, veterans in each class will compete for venture capital to establish their new businesses when they exit the academy. By the end of the six-month program, the goal is that each participating veteran will have developed a start-up business and appointed an advisory board. Under the coordination of CITE assistant director Anita Leffel, CITE will provide curriculum, instruction, program materials, mentorship and advising for the academy. The entrepreneur academy launches a new endeavor by Soldiers' Angels called Project-360°, which will be a full-circle, drop-in support center for service members of all branches. In addition to the entrepreneur academy, Project-360° will include a resource center for veteran issues and transition support and a health and wellness center addressing both physical and mental fitness. 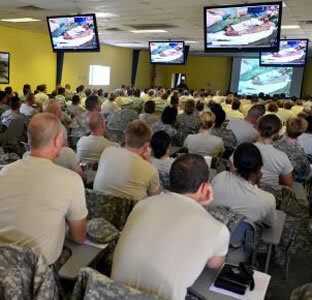 Offered both onsite at the Soldiers' Angels Support Center in San Antonio and offsite via the Internet, the academy's curriculum will equip students to be truly successful in America's competitive business environment. Designed as a business incubator, the entrepreneur academy will include full amenities such as high-speed wireless, conference rooms, meeting rooms, private offices, and a resource room with copiers, scanners and other resources. Soldiers' Angels is a volunteer-based, award-winning nonprofit organization that provides aid and comfort to members of the U.S. armed forces as well as veterans and military families. CITE is an interdisciplinary center in the UTSA College of Business and College of Engineering, which fosters the growth of entrepreneurs and new technology-based ventures through education, experiences, resources and support. The first Soldiers' Angels Entrepreneur Academy class of 20 onsite students in San Antonio is scheduled to start in July.